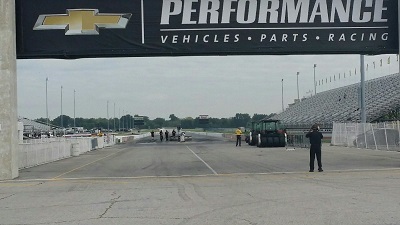 It is officially race week in Hendricks County as the 61st running of the Chevrolet Performance U.S. Nationals is less than a week away, but preparations to host the event at Lucas Oil Raceway in Brownsburg began before the gates closed around this time last year. This year, the field will consist of 900 competitors. Bringing thousands of spectators to Hendricks County for the largest National Hot Rod Association event of the year. Final preparations are underway and the semis are beginning to roll in. Fans from near and far will make their way to Lucas Oil Raceway beginning this Wednesday to a track beaming with hundreds of vendors and an exciting six-day race schedule that&apos;s sure to please even the most modest fan. I&apos;ve worked a sales location for MainGate, Inc. - an Indianapolis-based premiere, full-service event retailer - at this event for more than 15 years. Over the years, I have met some really great people, many who travel miles to attend every year. I recently reached out to a group of Canadians that I met years ago. They come see me everyday while they&apos;re here, and year after year, I breath a sigh of relief when I see they made it safely. This group of fans has made the 10-hour drive down to Hendricks County for more than 35 years. That&apos;s commitment, folks. This is their vacation. To say they love and look forward to this race would be an understatement. So, who better to explain what makes this event worthy of international travel. They credit the excitement and size of the event as the No. 1 reason they keep coming back. Coming in a close second for them is the location. Secluded, yet close enough to anything they could want or need while they&apos;re here. They appreciate the wide selection of hotels and restaurants within 20 minutes of the track. My northern friends call the U.S. Nationals the grandpappy of the NHRA season and said they make the trip to this race - above any of the others - because the competition is at its peak performance. I&apos;ll venture to say that my friends will be pleased to learn that the competition will get even more exciting this year. I spoke to Scott Smith, Senior Media Manager for NHRA, who said a point change this year will undoubtedly make the fight for points even fiercer. He explained that drivers can make up a lot of ground, as 150 points will be awarded to winners in the Mellow Yellow series at this year&apos;s Chevrolet Performance U.S. Nationals. Scott echoed the same sentiments as my friends. He shared that it is really awesome to sit at an NHRA event in Brainerd, Minn., and hear Hendricks County and the town of Brownsburg being recognized as the home of this amazing sporting event. Both seasoned and new fans as well as those who choose this event for their first-ever drag racing experience can find more information about the event schedule, discounted tickets and track information by clicking here. If you have never attended this event, the 61st U.S. Nationals is well worth the trip. Not sure what to bring or how to negotiate your way around the track? We have already put together a blog post detailing all you need to know before visiting that you can find by clicking here. Then, once you arrive at the track, I have learned that NHRA fans are some of the friendliest you&apos;ll find. 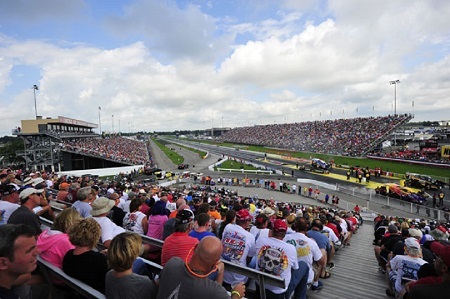 Plus, Lucas Oil Raceway has information and hospitality locations throughout the facility. Forgot your sunscreen, batteries die in your camera, have a little one in dire need of earplugs? Hundreds of food, drink, and merchandise vendors have you covered. Need a place to spend the night? Visit Hendricks County keeps tabs on all the available rooms. Feel free to contact their office at (800) 321-9666. Competitors will make their way to Lucas Oil Raceway to set up camp this week. Vendors will finish up their inventory, and track employees will make final preparations to host thousands of racers and fans. The U.S. Nationals truly is a spectacular six-day event, right here in Hendricks County with a lot of moving parts behind the scenes to make it happen. Why not make this year the year that you come and see us?